“I was walking to work and heard church bells ringing over the din of an ordinary Cuban morning. Next I saw people running into neighbors’ homes shouting and hugging. When I stopped a reveller to ask what was happening, he explained that Cuba and the US are going to be friends again." For Cubans, it’s really that simple. As insightCuba nears its 15th anniversary of sending Americans to Cuba legally, the President’s announcement was a gift not only to the Cuban people but to all of us. It allows us, and you, to do something generations of Americans have been unable to do. Travel to Cuba. I personally invite you to be part of history once again and join us in Cuba during this unprecedented time. President Obama talked about his belief in the power of people-to-people engagement. 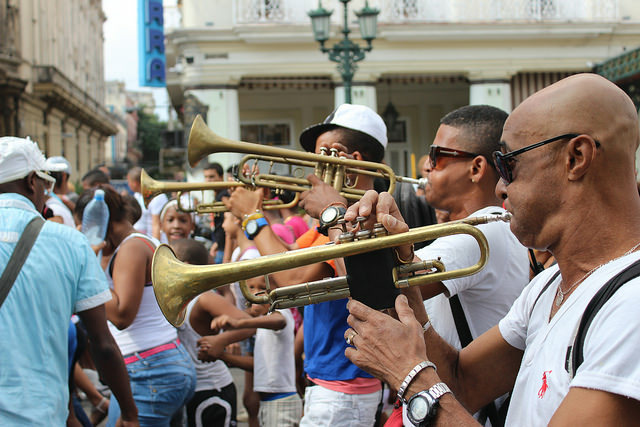 Travel on one of our acclaimed people-to-people tours and discover Cuba before it changes forever. The time is now. Choose from over 150 start dates throughout the year and any of our six Signature or Specialty Cuba tours. Travel when you want, for as long as you want, and see as much of Cuba as you want. Why insightCuba? We’ve received accolades from The New York Times, CNN, Conde Nast Traveler, BBC, Travel + Leisure, USA Today, ABC News, FOX News and many more. Meaning, you’ll have peace of mind while we take you on a historical journey. Cuba holds a special place in my heart, and once you arrive, you will understand why. Tom Popper is president of insightCuba, the leading provider of people-to-people travel to Cuba since 2000.